The history of the communities that grew up around the two bridges. 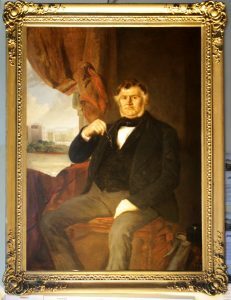 Portrait of John Hemingway, stonemason for the Britannia Bridge, donated to us by his descendants. Our full Collections Policy can be viewed here. A list of the books, pamphlets and other documents in our collections can be viewed here. We welcome offers of donations of objects related to our goals above. If you have items that you wish to donate to our collections, please contact the collections staff at registrar@menaiheritage.org.uk. We will send you a form to fill out with details about the object. The item will then be considered by our Collections Panel, who will decide whether it would be a suitable addition to the collections.